France-based aircraft manufacturing company, Airbus, has confirmed that it is ready to start talks with Iran for the sale of dozens of new commercial aircraft to the country after international sanctions against Iran's economic sectors were lifted. File photo shows an Airbus A310-304 passenger plane operated by Iran Air. According to a New York Times report on Monday, the announcement is another effort by Western companies to start business with Tehran after implementation of Iran's nuclear agreement with six world powers, known as the Joint Comprehensive Plan of Action (JCPOA), started on January 16. “We have listened to the Iranians, and we are ready to engage in commercial negotiations,” said Stefan Schaffrath, an Airbus spokesman in Toulouse, France. 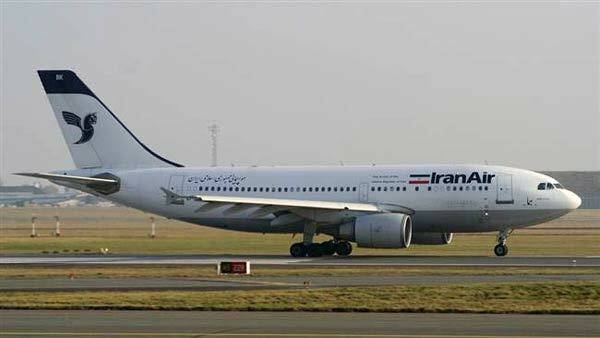 His remarks came after Iranian Minister of Transportation Abbas Akhoundi said Iran Civil Aviation Organization (CAO) will sign a contract to buy 114 passenger planes from Airbus during President Hassan Rouhani’s visit to France. Akhoundi, however, said all the 114 aircraft will be brand new, adding that details about their types will be announced after the signing. Meanwhile, Ahmad-Reza Bayati, secretary of the CAPA Iran Aviation Summit which opened with the participation of airport, airline, travel and transportation industries in Tehran, said officials from Airbus will arrive in the Iranian capital soon to discuss the deal. According to another unnamed official, the deal will include a mix of new and used jets from the A320 family and the out-of-production A340s to feed the country’s domestic demand. Iran Air has also indicated its interest in buying wide-body planes, including A350s and A380 double-decker to add destinations in the US, Canada, Australia and Europe to its network. Airbus officials, however, did not confirm that discussions with Iran were sufficiently advanced to lead to an order in the coming days. Iran’s aviation industry is in dire need of a major overhaul, which has become possible with the recent lifting of sanctions. According to Akhoundi the country seeks USD 250 million of investment to upgrade its air navigation system. He added that a deal will be signed soon to expand Imam Khomeini International Airport (IKIA) and enable it to accommodate 45 million passengers, which will be much higher than the airport’s current capacity for seven million passengers.